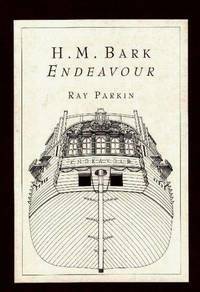 [2 volumes in slipcase] H.M. Bark Endeavour. Her Place in Australian History. With an Account of Her Construction, Crew and Equipment and a Narrative of Her Voyage on the East Coast of New Holland in the Year 1770. Melbourne: The Miegunyah Press, 1999. HEAVY. 2 volumes (complete) in slipcase. xi, 467pp, index, bibliography, notes, bw ills, maps, tables; folding plates/maps etc. 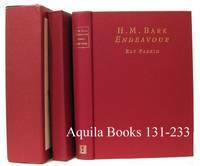 Or maroon cloth in slipcase. Some foxing to title label on slipcase, very light toning to page edges of text volume.. . Third Edition. Hard Cover. Very Good/Slipcase. 4to. Melbourne University Publishing, 1997-10-01. Hardcover. Good.